At the fab Todos Santos Musical Festival last weekend, Drive-By Truckers were (as always) phenomenal and one of the highlights of each night. A highlight from their set each night was a brand new, unreleased song written by Patterson Hood entitled What It Means. Hood wrote the song in the wake of the deaths of Trayvon Martin, Michael Brown, Eric Garner and entirely too many African-Americans. Watch Hood give the backstory of the song and perform it solo, and then check out Drive-By Truckers performing the song at Todos Santos (apologies for the missed start). Hood is singing truths that need to be sung over and over, and we need to work harder to figure out what it all means. And deal. In the meantime, we’ve got What It Means on constant repeat at Chez Lefort and can’t get enough. We trust the song will appear on the next Drive-By Truckers album. We can’t wait. About the only thing agreed upon is he ain’t coming back. There’s just two sides calling names out of anger out of fear. EL VY’s album Return to the Moon was our Favorite Album of 2015, and would have been No. 1 on our Best Albums of 2015 list (where’d that list go, it was here just a minute ago?). Blame it on Kendrick Lamar. While Lamar’s To Pimp A Butterfly was the best, most-important album of 2015, Return to the Moon was easily our favorite, most-listened-to album of 2015. The variety and depth in the album’s songs is astonishing, thanks in no small part to the teeming musical mind of Brent Knopf. The songs range from Joy Division-like post-punk tracks to National-esque ballads, with everything in between. And all feature Matt Berninger’s alternately hilarious and devastating lyrics that limn life well, but all-the-while permitting/encouraging the listener to sing the words into their own lives. Like the best lyrics always do. EL VY was also fantastic live, as witnessed by us at the Troubadour in LA. Below on their Tiny Desk Concert we get a great three-song sampling of the core of EL VY’s songs, with just Knopf’s expressive piano-playing and Berninger’s unadorned vocals and lyrics. It’s a powerful combination. We hope that time will permit these two to collaborate again in the not-too-distant future. 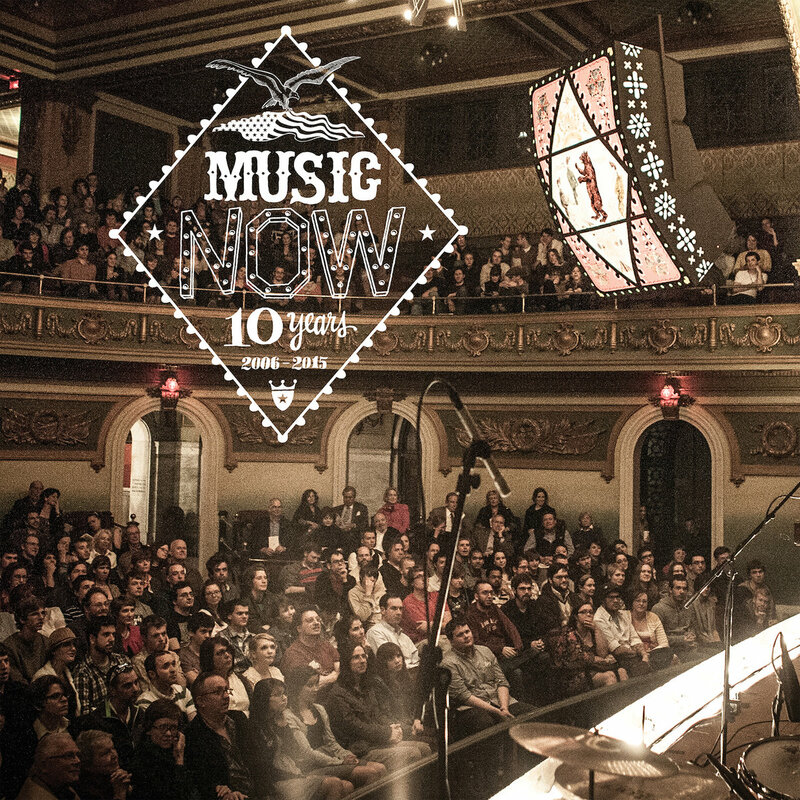 To kick off the promotion of this March’s MusicNOW festival (3/18-20) in Cincinnati, the festival has released its video below of MusicNOW founder Bryce Dessner, his brother Aaron, Justin Vernon and Colin Stetson in 2010 performing Sharon Van Etten’s uber-evocative Love More (from her self-described debut album Epic, which we glowingly wrote about in 2010 HERE). This year’s MusicNOW will feature a bit more classical music, including the world premiere of Bryce Dessner’s full orchestra version of his piece Aheym, and the U.S. premiere of his piece Réponse Lutoslawski, both performed by the Cincinnati Symphony Orchestra. The lineup will also include the Kronos Quartet, Punch Brothers, Sam Amidon, Julia Wolfe, Luluc, and more. Check out the video below. Beauty right there. The song is one of the many highlights on MusicNow’s MusicNOW: 10 Years, a 17-track live compilation that you can purchase HERE. The fifth annual Todos Santos Music Festival culminated last weekend in southern Baja, and thankfully we were there to witness this feel-good rock-fest in all its glory. 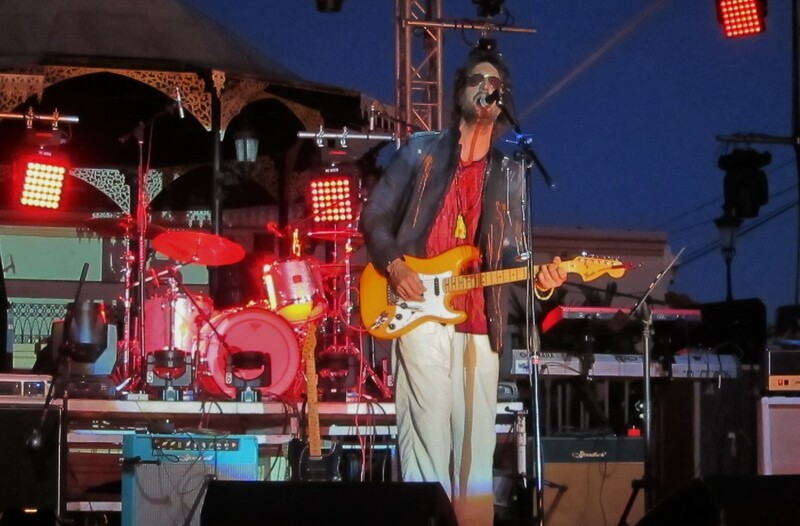 TSMF is the post-REM philanthropic project of Peter Buck (and his wife, Chloe Johnson) that was begun by the couple to help support local charities/efforts in their new-home beach community of Todos Santos. This year’s TSMF raised money for the Palapa Society. Run over the course of two weekends (1/14-16 and 1-21-23), the TSMF format is to shuffle the lineup each of the three nights of the respective weekends, and have the spotlighted bands supported by a revolving door of spectacular supporters and cross-pollinators from other bands (see below). 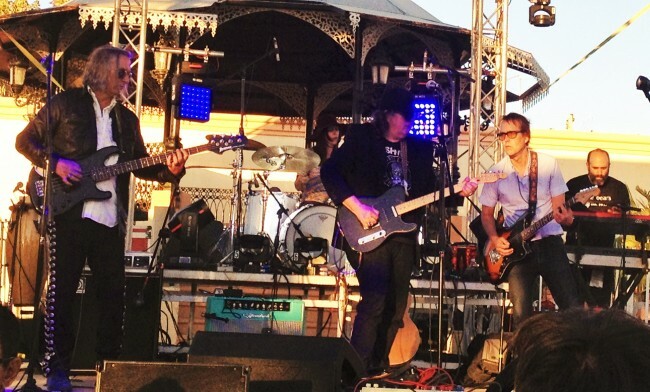 We unfortunately missed the first weekend of TSMF, which featured (for the first time) Jeff Tweedy (Wilco). 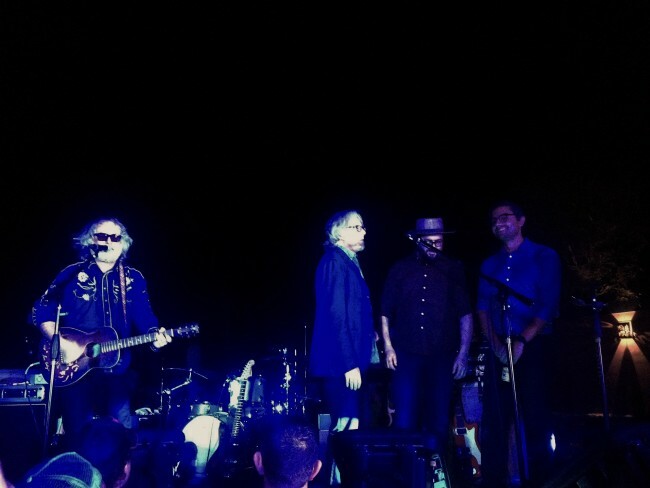 With the assistance of Wilco’s Pat Sansone and John Stirrat (separately performing as The Autumn Defense), Buck and a host of other TSFM luminaries, Tweedy managed to play 44 different songs (no repeaters*) over the three nights of TSMF’s first weekend. Tweedy’s sets naturally included Wilco, Uncle Tupelo, Golden Smog and solo songs, but also homages to the late, great David Bowie (All The Young Dudes) and covers of Neil Young (Everybody Knows This Is Nowhere) and Bob Dylan (Simple Twist of Fate). The first weekend also featured, among others, the Old 97’s, Mark Eitzel and a host of Buck’s hand-picked supporting friends (the multi-talented lads John Paul Jones (you may have heard, Led Zeppelin), Josh Kantor, Kev’n Kinney (Drivin’ N Cryin’), Scott McCaughey (Minus 5, Baseball Project), Mike Mills (REM), Chuck Prophet (Green on Red), Steve Wynn (Dream Syndicate, Baseball Project) and Joseph Arthur, and lasses Linda Pitmon (Baseball Project, Minus 5), Corin Tucker (Sleater-Kinney) and Chloe Johnson (with the Jayhawks). In short, the line-ups’ bands are supported by a ridiculousness of rock riches. Having never before attended TSMF, our intro couldn’t have been any better. 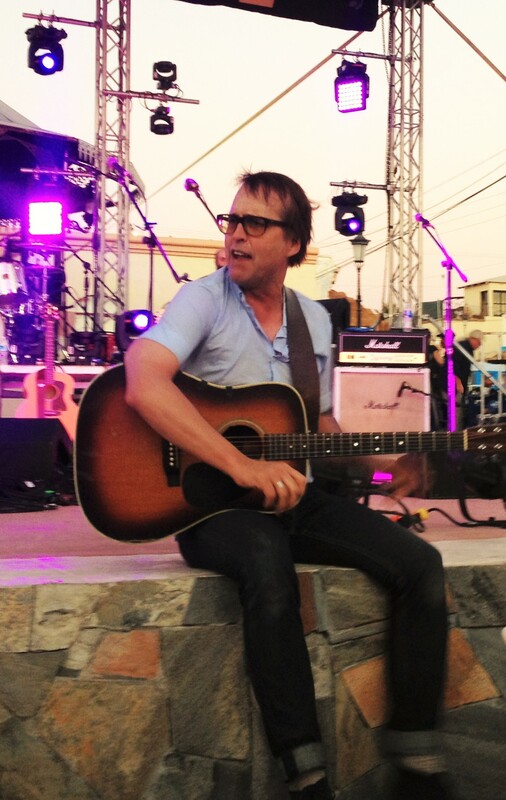 We came over a rise in the desert on Thursday afternoon and dropped in to the patchwork beach community along the Baja coast and shortly thereafter walked into the hosting Hotel California to find the fantastic Lefort-fave Chuck Prophet sound-checking with Kev’n Kinney. Beauty to our ears. As the show kicked off that night, we first caught the unannounced Baseball Project (McCaughey, Wynn, Pitmon as supported by Mike Mills and Buck) singing their winsome odes to baseball’s wallopers and weirdos (lots of ’em Atlanta Braves). Next up was the most pleasant surprise of the festival for us: Kev’n Kinney. While we were aware of Kinney’s much-lauded band Drivin’ N Cryin’, we had lost track of Kinney (who has gone on to release critically-acclaimed albums, both solo and with Golden Palominos). The much-loved Kinney would be joined throughout the festival by various stalwart supporters (Prophet, Mills, Buck, Pitmon, Jayhawks’ fiddler, etc.) during his sets, but it was his songwriting (Trail of Seasons and A Good Country Mile in particular) and emotive delivery that carried the nights. Kinney started off a tad tinny vocally, but gathered strength throughout the first night’s set and especially vocally, winning over the crowd with his anthem Straight to Hell and closing out his set with an emphatically long-held high note. 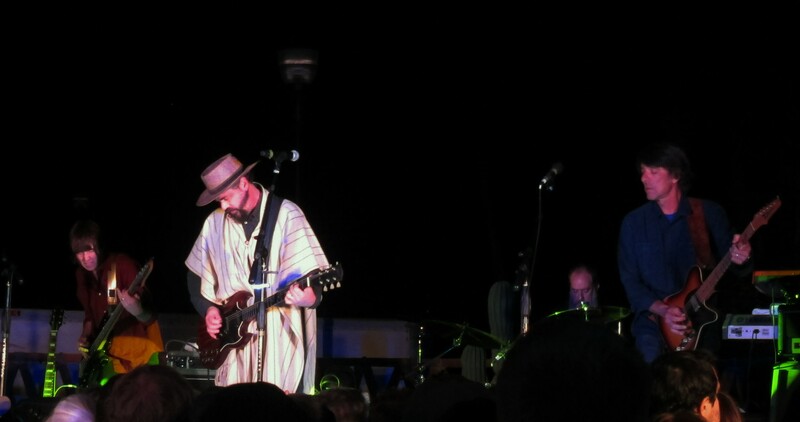 Next up was Joseph Arthur, one of our faves, who was a bit off his game this night but still enjoyable. Arthur was followed by one of the best live performers extant, Chuck Prophet. Though without his Mission Express and Stephanie Finch, Prophet nonetheless gave his usual superb and crowd-pleasing set featuring songs Wish Me Luck, You Did! (backed by Kinney), The Museum of Broken Dreams, and Willie Mays Is Up At Bat (with its euphoria-inducing crowd-singalong). The Jayhawks were up next and gave one of the best sets of the night, aided and abetted by Gary Louris’s sinewy vocals, dexterous playing by the band and the harmonies of members and guests. As to the latter, the always-grinning Mike Mills was the MVP of Thursday night, jumping up on stage throughout the night to add bass and jubilantly-emphatic vocals to the various sets, but especially during the Jayhawks’ performance and during their closing homage to David Bowie via his Starman. The Starman had to have been smiling down on the uplifting performance. Not to be outdone, the Drive-By Truckers were up next. The DBTs never fail to impress and especially this evening. Patterson Hood and Mike Cooley traded off on crowd-favorite songs (Lookout Mountain, Three Dimes Down and Sink Hole stood out, as usual) and new songs and won us over completely with their never-say-die rocking and big-hearted ways. Admirably assisted by their other outstanding band members, Hood and Cooley play with unbridled verve, and Hood simply has one of the biggest souls in the business. Hood introduced an apropos new song (What It Means[?]) confronting racial injustice in America and throughout the night interacted empathically with the crowd, regaling with stories and repartee (“you folks should build a wall around this beautiful place to keep Donald Trump and his ilk out!“). They closed out their set with a rousing version of Bowie’s Heroes as sung (appropriately) by Hood. First-time TSMF participants, Death Cab for Cutie, closed out the night with a mesmerizing set of new and old songs that showcased the strength of their songwriting (old and new) but also their new-found, post-Walla energy, with newcomers Dave Depper (guitar) and Zac Rae (keys) adding immensely to one of the best rhythm sections in rock ‘n roll, Nick Harmer and Jason McGerr. And of course Ben Gibbard seized the festival’s proximity to California to lambaste Californians in song (Grapevine Fires, among them). All in good fun, Ben, all in good fun. DCFC would add their own “obscure” Bowie cover, Valentine’s Day. While DCFC would close out the first night with aplomb, their best was still to come (their sound not being completely dialed in the first night). The second night of TSMF at the Hotel California was (thankfully) more of the same (re-ordered, as is its wont), and with the addition of The Minus 5. One of the best, albeit-too-brief, sets on Friday was put on by Chuck Prophet who opened and had his ardent followers (and new fans) fully-engaged and singing/laughing along to his every word. You never fail to walk away from a Prophet-able performance fully-entertained. Next up were The Minus 5 and friends who gave a raving set that started off slowly with a cover of Glenn Frey’s/Jackson Browne’s Take It Easy (thankfully the first and last Eagles-related material of TSMF), but accelerated from there. They capped off their set with riveting, careening performances of Medicine Show and Days of Wine and Roses (the latter in tribute to revered Rolling Stone writer-in-attendance David Fricke). Kev’n Kinney then regaled with another sterling set featuring his memorable songs Summertime Days and the evocative A Good Country Mile. On the latter we noticed plenty of tear-streaked faces in the crowd, and then Kinney himself got a bit misty and glass-eyed, which made the moment that much more affecting (and after which Kinney received a large bear-hug from Mike Mills). It’s moments like these that shed true light on the humans up on stage giving their songs and audience their all, and it was heartily appreciated. Afterwards, Mills and Peter Buck assisted Joseph Arthur on his short set, which closed strongly. The Jayhawks again gave the crowd a superb performance of their well-wrought old and new songs. 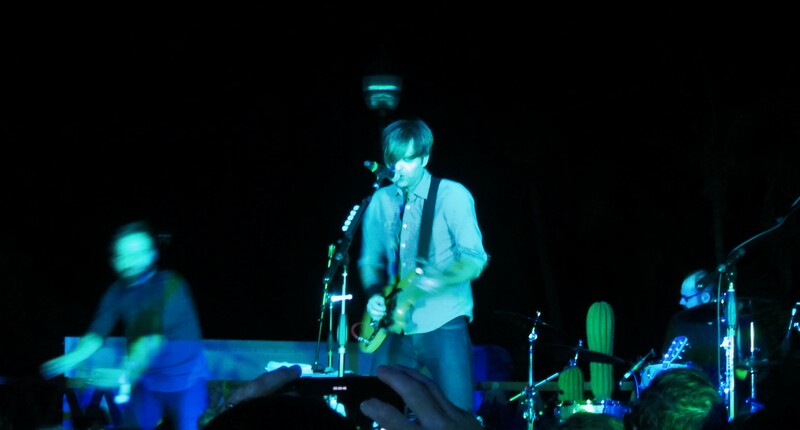 Death Cab for Cutie then gave the performance of the night, if not the entire festival. 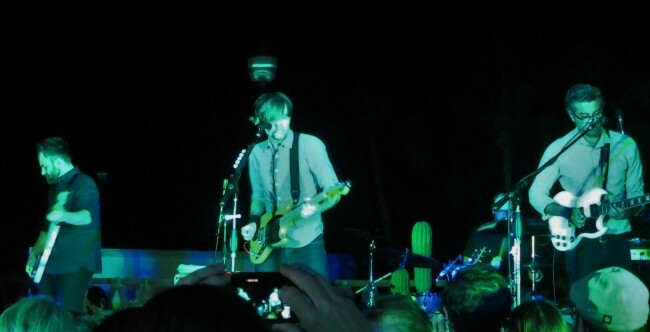 DCFC seemed to be on a mission to impress (both the audience and their fellow musicians). Mission accomplished! DCFC were en fuego from note one, putting out a rhythmic, walloping wall-of-sound (which was perfect this night) that propelled their songs to such great heights. Only on the heart-wrenching Black Sun did the band back off the beat and let emotion take its toll. They were quickly back to blasting business and wowed to the end with their chemistry and drive. Drive-By Truckers closed with yet another electrifying set, the highlight of which was Hood’s World of Hurt on which he encouraged the crowd to fully appreciate the full moon above and how great it is to be alive. The DBT’s ended the night with a scorching finale on which they gave their all and gradually left the stage, one-by-one until it was over. It was indeed great to be alive. The final night of TSMF is always held in the Todos Santos Town Square for free so that all of the citizenry (and, apparently, others from Cabo San Lucas and elsewhere) can join in the music enjoyment. It was another impressive night of music, with Prophet’s opening set again being a highlight. Steve Wynn’s set was also enthralling, with Prophet and all the Minus 5 members and others slamming on Dream Syndicate’s Medicine Show and closing with a powerful, rocking take on Wynn’s Amphetamine. Other highlights of the last night included Drive-By Truckers’ (with Prophet, Buck, others) set-closing cover of Jim Carroll’s season-perfect People Who Died, and two REM covers ((Don’t Go Back To) Rockville by Steve Wynn and crew, with Mike Mills taking a capable turn as Michael Stipe, and our own REM-favorite, Fall On Me, by DCFC). La Santa Cecilia (with the assistance of John Paul Jones) also added setting-perfect musical color and accent to the evening. It was an entertaining closing night to a truly memorable music festival, and we can’t wait to return. *Other artists should take note and follow suit–you’ve all got a treasure trove of material, so don’t sell yourselves short by playing the same songs all three nights! Just sayin’. To get a feel for TSMF, check out the fan videos below, and go HERE to the TSMF Facebook page to see more video vignettes. 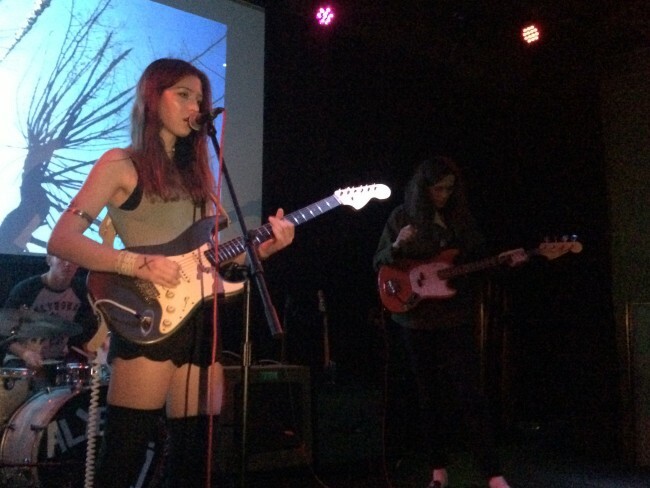 A lot of very interesting, very talented young female artists have burst into our awareness during the last year (Julien Baker, Miya Folick, Hop Along, Eskimeaux, etc.). The latest is Alaska Reid, fronting the trio Alyeska (“It’s a band man”) with Ben Spear on drums and Enzo Scardapane on bass and guitar. Last Saturday at the Bootleg Theater, Alyeska delivered a riveting and thoroughly enjoyable ten-song set, pulling from their 2014 EP, other/current singles, and four new songs (or at least songs we haven’t heard before–see setlist below). Reid’s sultry vocals ride on airy guitar, with Spear and Scardapane complementing her well. Building on a melodic base, Alyeska’s songs lull you into an almost dream-state before cranking matters up several notches. And crank it up they do, but even more so live than on the recordings. Switching guitars on nearly every tune, and even throwing in some effective slide-guitar flourishes, Reid moves effortlessly from gentle picking to muscular strumming, and all within the atmospheric context of her unique and compelling style. And oh, that voice! Reid announced that in March she and the band are traveling to New York to record an album with revered John Agnello, the producer of their current singles (not to mention Hop Along and a host of others). This is good news for fans of good music. The music business is notoriously fickle, but you’d be well-advised to see Alyeska up close and personal in a small venue while you still have the chance. You won’t be disappointed. 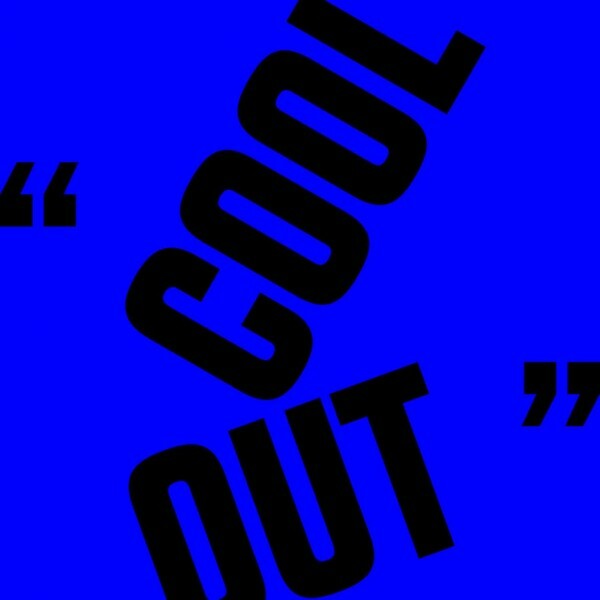 OK, maybe it’s just us and our inability to move beyond the loss of David Bowie, but check out below the new song, Cool Out, from the talented Matthew E. White (assisted by his gifted pal Natalie Prass on vocals). Produced by DJ Harrison and pro-producer White, the song strikes us as somewhat Bowie-esque (albeit with a far more chill vocal than Bowie would likely have provided), circa Ashes to Ashes. Regardless, it’s a cool new song. Check it out below. You can purchase the song HERE. “Caught in the web we spin around ourselves, a mixture of hubris and the guise of perfection, we fear being swallowed up by our own ambition. Never in the moment, as quickly as we reach our goals, our gaze shifts to those still looming in the distance. We judge ourselves harshly for not being further on the path and revel in the anxiety of racing the rate of consumption [Ed. Who ain’t got that?]. The lyrics weigh the value of going against the current to maintain artistic integrity, and the feelings of isolation and vacancy bred by a persona that is always “on” and ready for show.” Brava! The track was produced by Vampire Weekend’s Rostam Batmanglij. Check it out below. 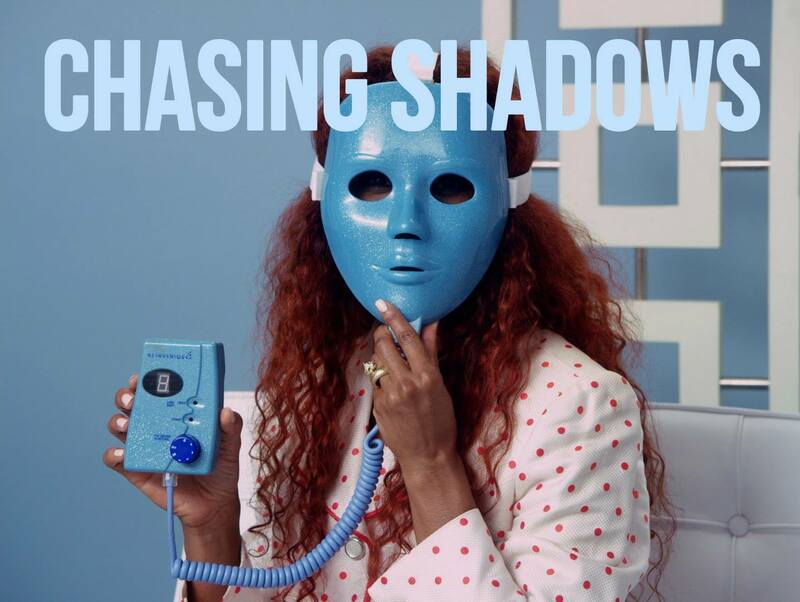 Chasing Shadows bodes incredibly well for 99¢. 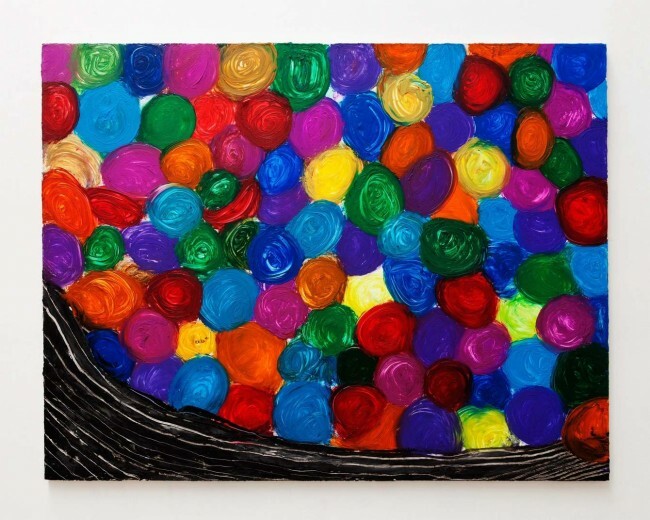 We are big fans of Jeremy Earls and his amalgam known as Woods. They consistently deliver well-wrought music laden with Jeremy Earls’ keen vocals, light-leavened harmonies and well-played instrumentals. 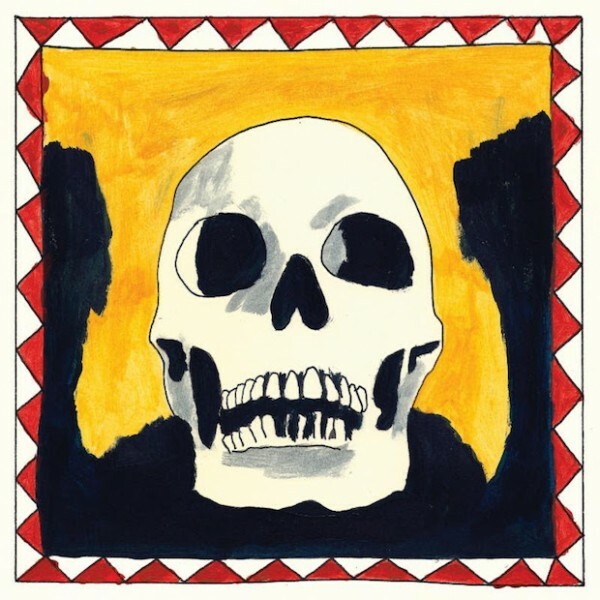 Woods is back soon (April 8th) with their new album City Sun Eater In the River of Light, via their label Woodsist. To get things started, they offered up this week the album’s first single entitled Sun City Creeps, which is apparently an homage to Arizona trio Sun City Girls (honestly, clueless here), which apparently released 50 albums and 23 cassettes in 26 years. The super song opens in full roots-reggae motif with signature reggae horns a la Tommy McCook, Cedric Brooks, Rico Rodriguez, et. al (not “mariachi” horns as dreamed up by NPR and P4K ) before transitioning at the 2:48 mark (and later) to some tastefully-aggressive lead guitar, after which we find the song evolving into more of a world-music sound. Superb stuff from Woods. Mission accomplished Woodsists: we will have to check out Sun City Girls further. City Sun Eater In The River Of Light will be available on April 8th on Woodsist HERE. The tributes to David Bowie continue unabated. 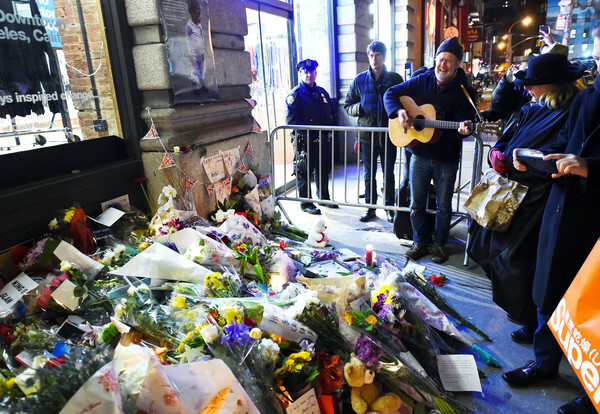 The big-hearted and busy Glen Hansard has contributed two such tributes in the last 48 hours. The outpouring for David Bowie continues unabated. In this device-induced, ADHD (“squirrel! !”)-excused era, the staying-power of Bowie-remembrance is remarkable. Some appear to have been prescient in their tributes. Or they just may have had good taste. Regardless, this past December Lefort-favorites Chuck Prophet and Stephanie Finch performed the song Sorrow, one of Bowie’s hand-picked covers for his much-loved covers album Pin Ups. Sorrow was originally written in 1965 by Feldman-Goldstein-Gottehrer and recorded by The Merseys. It remains a gem. Check out below the perfectly-sweet harmonies/round of Prophet/Finch. 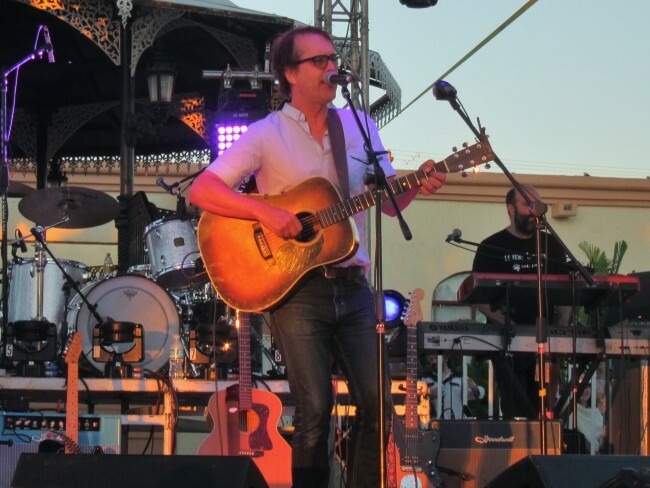 Chuck Prophet most recently released a singles collection of his critically-acclaimed 2014 album Night Surfer (pick it up HERE), and will head out on a mini-tour in April. 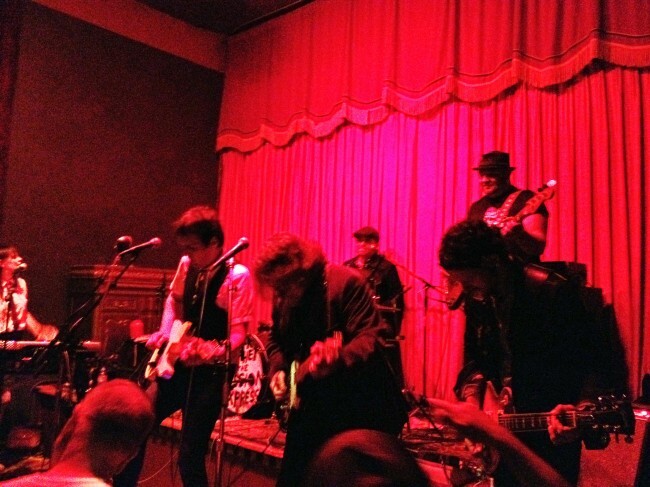 We’re thrilled that Prophet will stop in at the Lobero Theater in Santa Barbara on April 23rd with his let-’em-know band, The Mission Express. We last caught Prophet, Finch and The Mission Express at the Make-Out Room last October (a year after this don’t-miss-it annual show), and it was one of the best shows of 2015. To boot, the great Garland Jeffreys will open. Don’t you miss what will be surely be one of the great shows of the year in Santa Barbara (tix HERE).